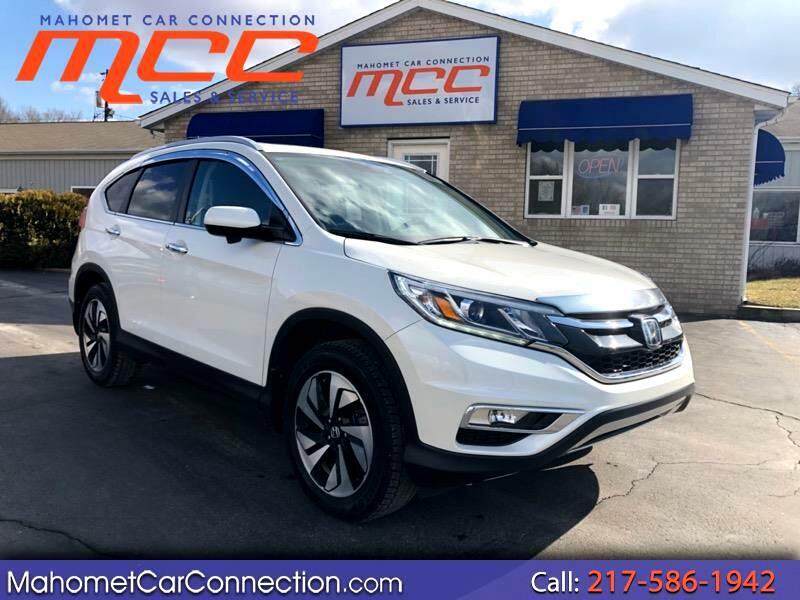 Loaded 2016 Honda CRV Touring AWD for sale here at MCC!! Diamond white exterior with a sleek black leather interior. Equipped with a 2.4L 4cylinder engine and a All Wheel drive powertrain, getting a impressive 33 MPG city, 26 MPG highway. Touring model includes power driver and passenger seats, 18 inch alloy wheels, power liftgate, heated mirrors, dual climate controls, navigation, satellite radio and a seven speaker sound system. Safety features include anti-lock brakes, traction control, side curtain airbags, rearview camera, adaptive cruise control, lane keep assist, and frontal collision warning. Come experience the MCC difference! !